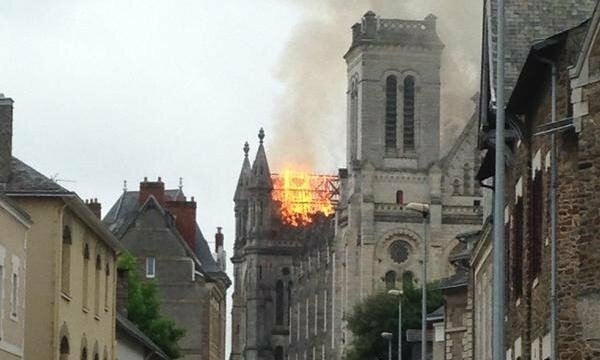 An intense fire has broken out at the 19th Century basilica of Saint-Donatien in the city of Nantes in western France. The fire broke out on Monday after morning Mass, with worshippers evacuated from the building, Rev Benoit Bertrand told local media. Around 40 firefighters worked to extinguish the flames, which are believed to have originated on the roof where work was being carried out. Two workers escaped from the top of the building unharmed. The Mayor of Nantes Johanna Rolland said the basilica was “an important symbol” for the Catholic community. In a statement on Facebook Johanna Rolland also thanked firefighters for their “rapid and brave action”. 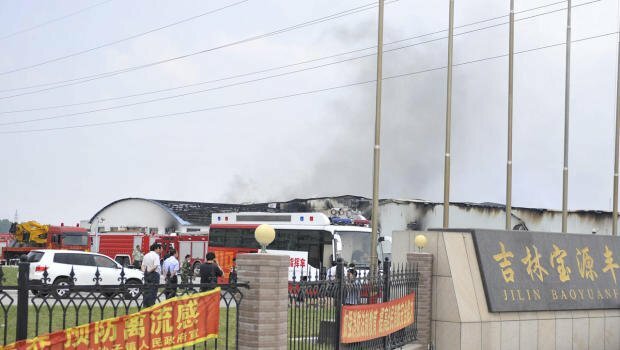 The blaze broke out at around 10:30 local time and may have been linked to “waterproofing work”, according to the city’s chief fire officer. The roof has been severely damaged and efforts are now underway to save several precious objects inside the basilica, most notably its organ. Social media users shared images of the burning building on Twitter, showing smoke billowing from its rooftop. The basilica dates back to the 19th Century and is dedicated to the religious martyrs St Donatien and St Rogatien.